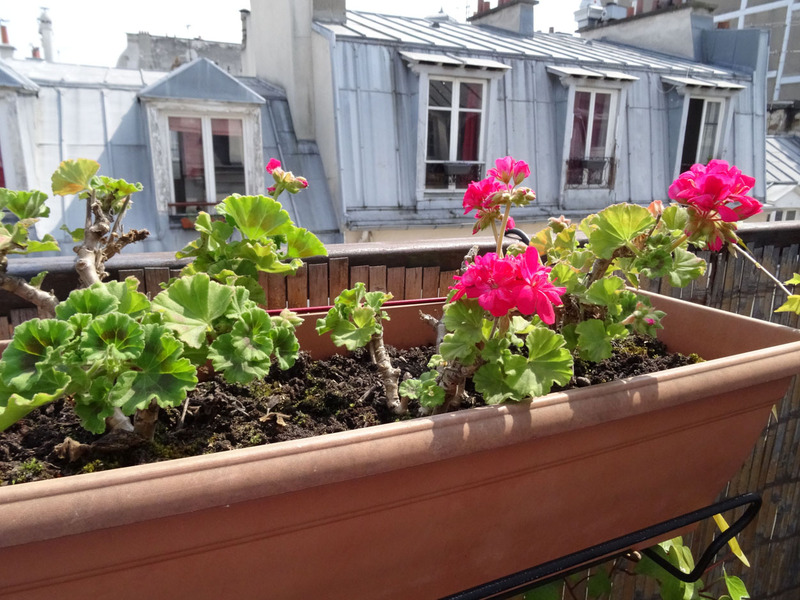 The first of my three rental apartments in Paris came with a terrace fitted with three window boxes of geraniums. At least they resembled geraniums. Something like geraniums poked out from dirt so hard you’d break a nail if you dug your finger into it. Yellow leaves clung to dry, hard branches, and withered petals hinted at flowers. They needed love. My mother always had geraniums. They were among her favorites. We’d plant them together every Mother’s Day in terra cotta pots on her patio. They’d flourish all summer in her sunny backyard. This is one of the things I miss most about Ma—those flowers, and our planting ritual. There’s something deeply satisfying about nurturing a garden. Since my mother died, I haven’t had much opportunity. But I’ve been nurturing something else: Me. These years since Ma died have been some of the hardest I’ve ever had to face. When you wrap your life around someone else, you forget to take care of Number One. Finding my way without my mother’s strong direction hasn’t been easy. 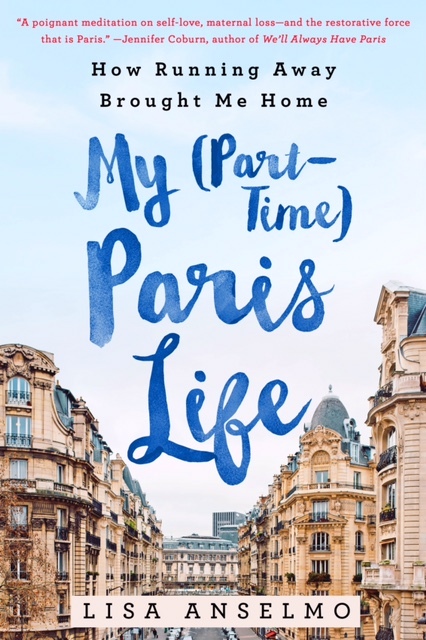 Since choosing to leave my publishing job, I’ve been forced to examine what matters most, what I really want my life to be about. It requires constant self-awareness. The devil on the shoulder is always there, whispering, “How are you going to make money? What were you thinking leaving a safe job with no real plan?” To stay strong, I have to take stock of myself hundreds of times a day—coaching, cajoling, validating. Are you happy? I ask myself, this question like my true north. If the answer is yes, I know I’m on track, and carry on. Nothing matters more than that. Job done for the day. My mother died of breast cancer. I was told once by a spiritual healer breast cancer is caused by a lack of self-nurturing. If that’s true, it’s time to take care. There are many things about my mother I’d like to emulate, but breast cancer isn’t one of them. 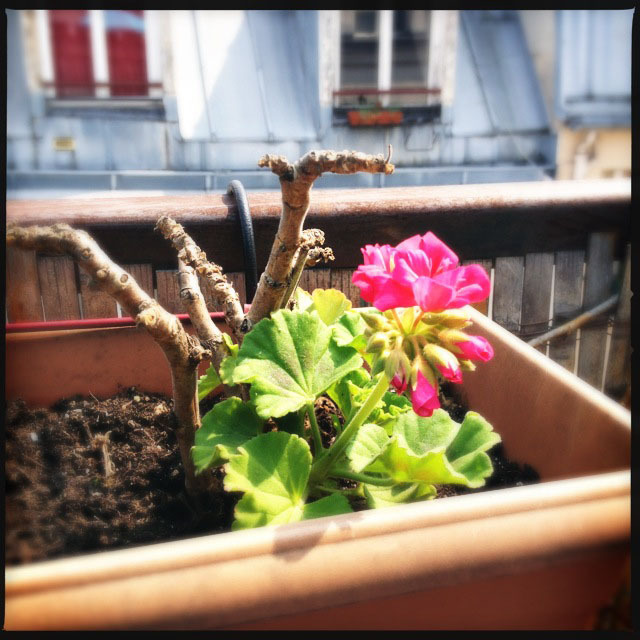 I’ve spent the weeks in this rental apartment watering and pruning these geraniums that looked mostly dead, but I’ve loved them and believed they could be something really beautiful—and they’ve flourished and multiplied, sprouting leaves and buds on once barren branches. Like me here in Paris, nurturing what’s possible and reaping the benefits. These flowers and me are blooming side by side. 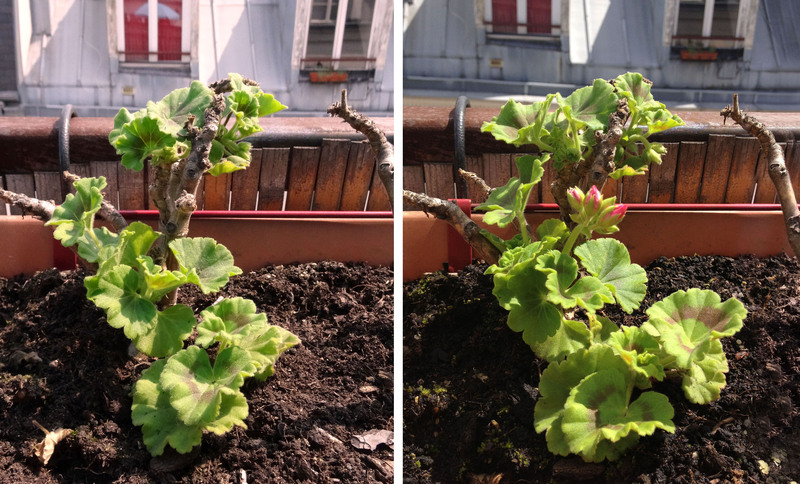 Before and after: Three weeks of loving care creates new growth and flower buds on once dry, barren stems. 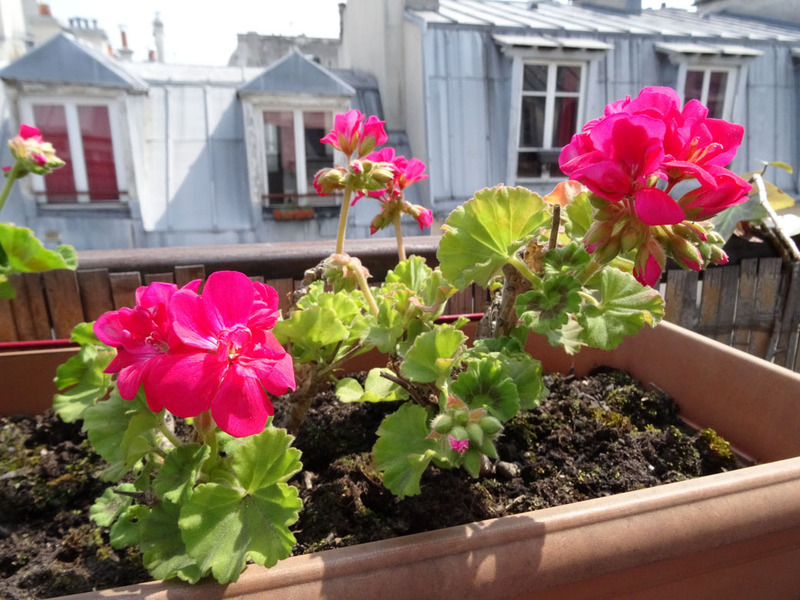 I hope the next tenant in this rental apartment takes care of these geraniums as well as you have. Thank you for rescuing them…they are beautiful! Me too! It’s all I kept saying before I left. Now in a new place, with new flower boxes to tend! What a beautiful and touching post… Thank you for sharing it. Here’s what strikes me the most about this piece: Sometimes caring for something, and wanting it to get better and stronger, requires cutting away the dead parts, the parts that no longer contribute to health and vitality: dead leaves, dead branches, spent flowers. At first, the plant looks much smaller, maybe even more vulnerable; but the result is that it can focus its energy where it will do the most good, and come back stronger and more beautiful and productive. Thank you for that! I feel a little like that vulnerable plant trying to sprout a new flower! You’re already well on your way! That must have felt so satisfying. My mom loves geraniums also. You have inspired me to choose them for my balcony. Last years herbs are re-growing themselves and are not pretty! Dear lisa I always followed you in your blog , I lost my mother to and it’s painful but what a beautiful way to remember her !